If you’re a Windows enthusiast, you’ve likely spent the greater part of the last year scattering the Internet for information about what Microsoft is planning for the future of the platform. Today, we’re all getting to learn a little bit more, since yet another build of Windows 8 has surfaced, or should we rather say, leaked. Although the build itself hasn’t leaked, Chinese website PCBeta has published a changelog and several screenshots, allegedly depicting the new build. 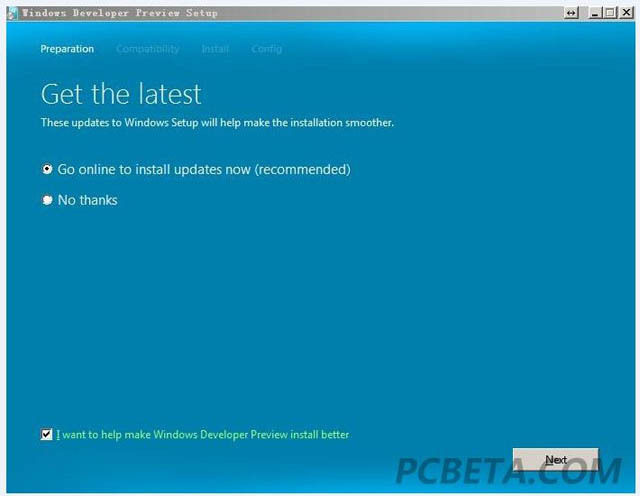 The build number, 8064, also reveals that Microsoft is edging closer to reaching Milestone 3, the end of the current stage of the system’s development, and quickly heading to pre-beta stage. During said stage, Microsoft will hopefully improve Windows 8’s quality in order to get it ready for a widely available, perhaps public, beta build. According to the changelog that leaked, Microsoft has continued the process of making Windows 8 more multi-touch friendly by bringing “immersive” user interfaces to more standard Windows features. The Control Panel, for example, is now an “immersive” application and will work right out of the box from Windows 8’s new full-screen multitouch and tablet-friendly user interface, which was first shown off earlier this year. Allegedly, Windows Remote Desktop has received the same treatment and is now a full-screen app. According to the changelog, an early Developer Preview of Internet Explorer 10 was also added in, yet two other applications have been removed: Media Center and DVD Maker. It’s not surprising that the latter was removed, since it has never managed to gain the needed traction among Windows users. Media Center, on the other hand, had been at the cornerstone of Microsoft’s media strategy for a few years and it’s surprising to see it go, yet it perhaps won’t be needed anymore since Windows Media Player will likely be converted into a full-screen app and work essentially the way Media Center does today. There are a few other visual improvements scattered all across this new Windows 8 build, such as new icons, a new bootscreen that finally does away with the beta fish and a new installation screen, shown below. All the traditional “hidden” features are allegedly inaccessible in this build, at least through traditional methods. There will undoubtedly be new ways to expose secret features, yet none is currently available. Windows 8 is expected to be shown off in its entirety at this year’s developer-oriented conference hosted by Microsoft, known as BUILD, which will take place between September 13th and the 16th. An experimental build will likely be handed out then. Check out the whole change log and some more evidence below. A new colored “Windows” splashscreen during installprep loading file.